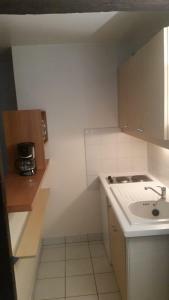 Set 1.5 km from Notre Dame Cathedral, Residence Le Saint Germain provides accommodation and free WiFi in Paris. All units feature a TV, a private bathroom and a fully equipped kitchenette. There is also a microwave, fridge and a coffee machine. Opéra Bastille is 2.2 km from the aparthotel. The nearest airport is Paris - Orly Airport, 16 km from Residence Le Saint Germain. Reception opening hours: Monday, Tuesday, Thursday, Friday and Saturday from 09:00 until 12:00 and from 14:00 until 19:00. If you are arriving on Wednesday, on Sunday or outside reception opening hours, the property will send you an e-mail with information about key collection and access codes. Guests are required to show a photo identification and credit card upon check-in. Please note that all Special Requests are subject to availability and additional charges may apply. Please inform Residence Le Saint Germain in advance of your expected arrival time. You can use the Special Requests box when booking, or contact the property directly with the contact details provided in your confirmation. This studio offers a kitchenette with a microwave, a fridge and a stove. Kitchenware and a dining area are also available. Rate: € 109.00 ... € 218.00; select dates below to get current rates. This apartment features a stovetop, kitchenette and dining area. Rate: € 141.00 ... € 183.00; select dates below to get current rates. Set over 2 levels, this studio offers a kitchenette with a microwave, a fridge and a stove. Kitchenware and a dining area are also available. Rate: € 183.00; select dates below to get current rates. Set over 3 levels, this studio offers a kitchenette with a microwave, a fridge and a stove. 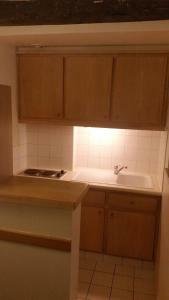 Kitchenware and a dining area are also available.